Dear Zero Waste advocates and partners, we’re getting ready to present our petition April 2nd, but you can still sign the petition at Raven Recycling until April 1st. Show your support and help us fill the gallery at the Yukon Legislative Assembly to present our petition for a single-use bag fee! 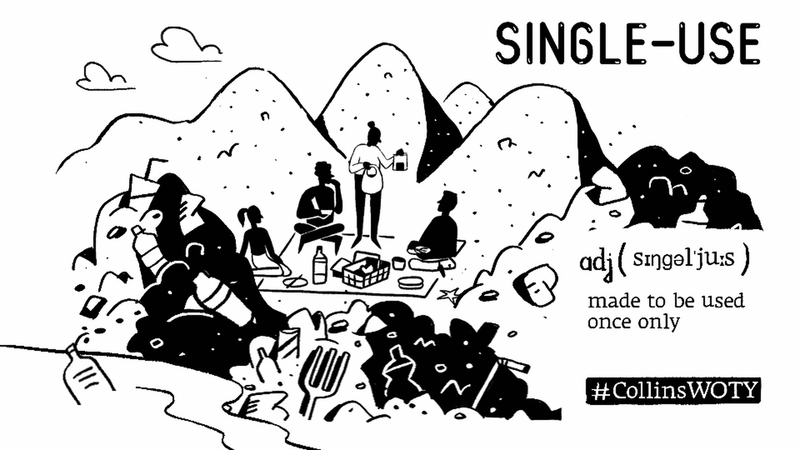 Help us send a collective message that this is only a small step, and there is a lot more work to be done to combat single-use plastic waste! Please share widely, and tell your friends! Let’s let this government know we support continued, dedicated action to reduce single-use plastics in our Territory! Please respect the public gallery rules of decorum, no signs, etc. Learn more about bag fees and our campaign on our Think Outside The Bag page! For more information, contact info@zerowasteyukon.ca or 667-7269 ext. 27. Posted in What's Happening, Zero Waste BlogLeave a Comment on Fill the gallery and say NO to single-use! On Tuesday the Government of Yukon announced it was seeking input into a proposed single-use shopping bag surcharge. They are looking for input from Yukoners into how to apply a surcharge, the surcharge amount, type of bags, potential exemptions, timing and approach for implementation. “The Government of Yukon recognizes the impact of plastic waste and has committed, along with federal, provincial and territorial environment ministers, to work towards significant reductions in waste disposal and zero plastic waste in Canada. One way in which the Yukon government is helping decrease plastic waste is through a proposed surcharge on single-use shopping bags received at point-of-sale. This is one of many steps that the Government of Yukon is planning to take to improve the territory’s recycling system and make it more sustainable. Ministers Frost and Streicker weighed in on the announcement. “Northern Canadians are among the highest waste producers per capita in the world. We can do better. Reducing waste keeps our environment clean and our communities healthy,” said Minister of Environment Pauline Frost. We’re thrilled to see some serious movement on this issue, and it’s very encouraging to see that actions are being taken to address the growing issue of single-use plastics in the Yukon environment. In Northwest Territories, a single-use bag program has reduced bag usage by over 70% and also provided revenue to the territory’s recycling programs. Want to give your input on the proposed single-use bag surcharge? Visit engageyukon.ca to participate in the online survey! 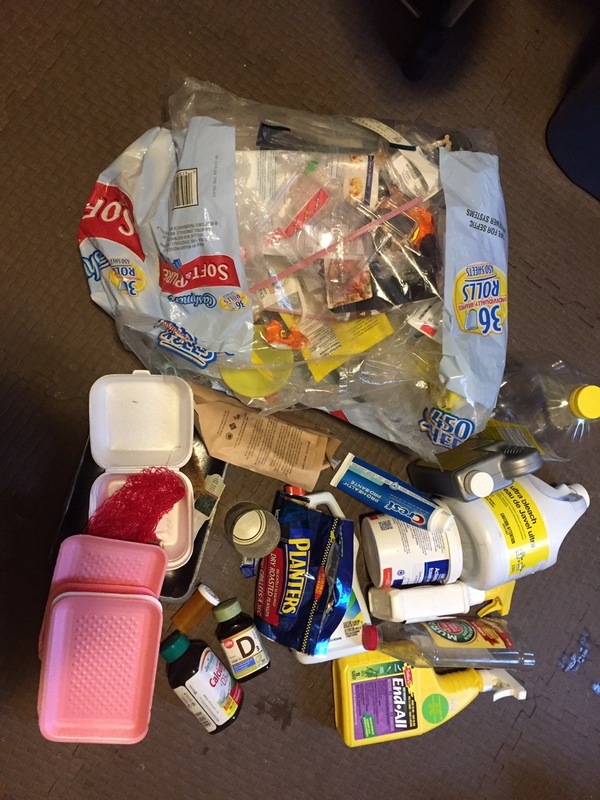 Posted in Uncategorized, What's Happening, Zero Waste Blog1 Comment on Yukon Government announces proposed single-use bag surcharge! 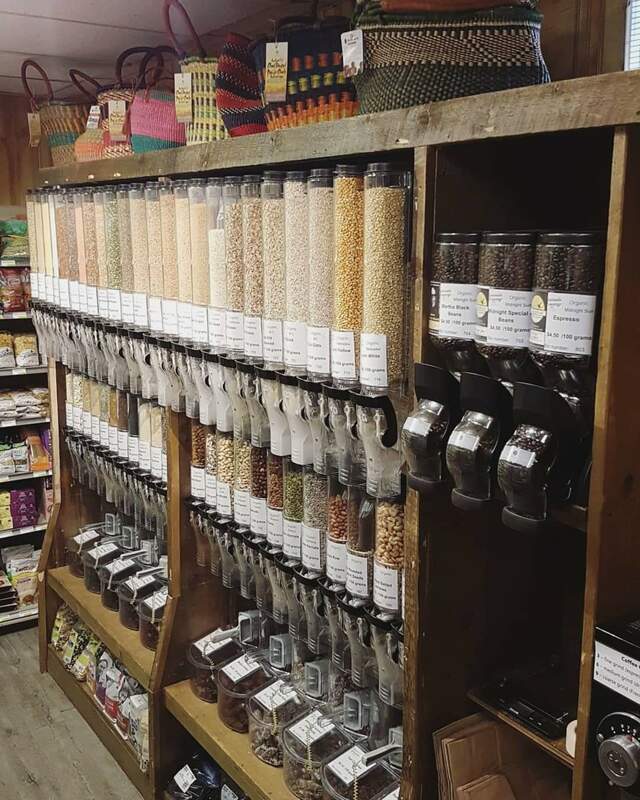 We asked the folks at Riverside Grocery to tell us about their Zero Waste efforts – here’s their story! 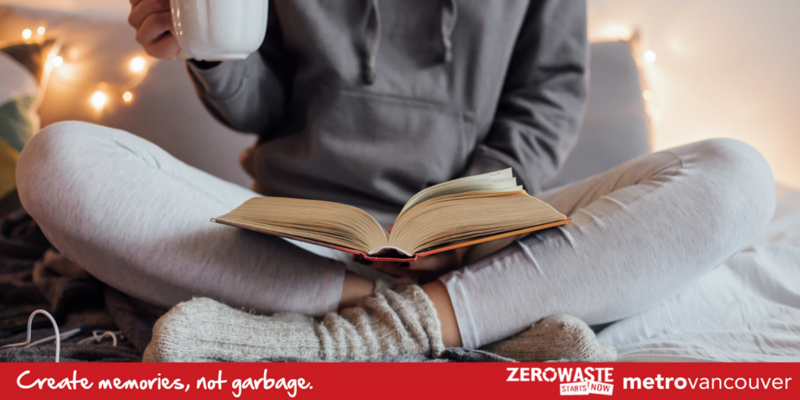 Moving towards Zero Waste has been a work in progress for us. Beginning with single use plastic grocery bags, we continue to brainstorm ways to eliminate more and more unnecessary waste that we produce. While we have increased our awareness and reduced our waste by approximately 90%, there are still a lot of ways we can continue to improve. In July of 2015, we announced that we would be eliminating single use plastic grocery bags in the upcoming months. We received a mainly encouraging response, and a lot of questions about why we made this decision. After seeing so many bags littering the streets and wilderness of not only the Yukon, but the oceans, forests, and beaches we visited, we were inspired to make a change. The elimination of bags turned out to be an easy transition and our customers were so supportive. On October 10, 2015, we gave away our last single use plastic grocery bag. To ensure continued success we provide cardboard boxes for customers to take home, help customers carry groceries to the car, and of course encourage everyone to bring a bag. 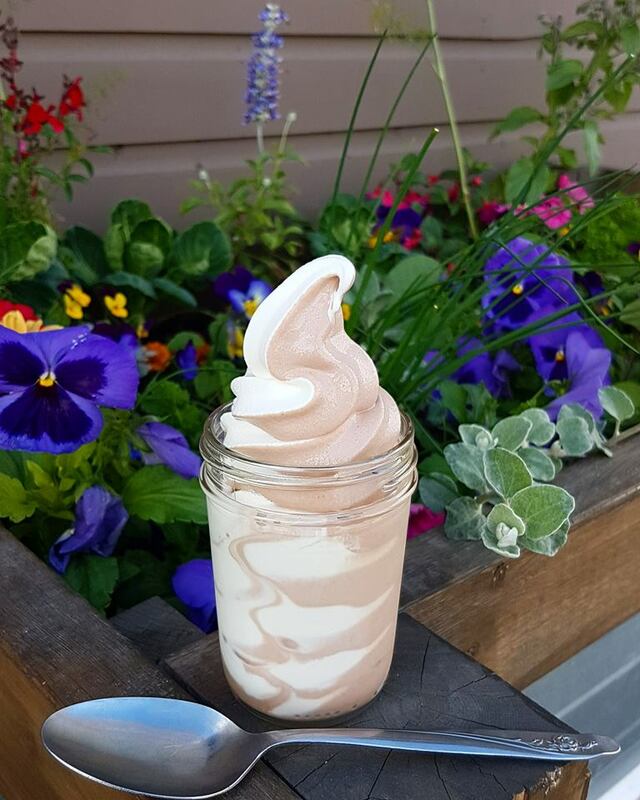 Riverside’s delicious soft-serve ice-cream can be served into any container, and they encourage customers to bring their own! We were happy to see the positive response from our community, and from there we were aware of all the other areas we could easily improve upon. We had sourced compostable cups for our coffee, soft-serve ice cream and slushies, but we were still using plastic straws. In 2016 we sourced bulk compostable paper straws so everything we provide for ice cream and slushies is completely compostable. When the City of Whitehorse began the pilot program for businesses to have compost bins, we jumped in whole-heartedly. Having an organic produce section in store it made perfect sense. Between composting and being much more aware of our recycling, especially paper and cardboard, we have reduced our garbage production by approximately 90%. In addition to our compost bin, we put all of our certified organic produce that would be composted aside for Ibex Valley Farm. The chickens at Ibex Valley eat all of our no-longer-perfect organics and produce quality eggs that we sell. This mutually beneficial relationship reduces waste and energy, strengthens the business community in town, and gives us a great way to get to know the impressive and wonderful business of Ibex Valley Farm. The next phase came in spring of 2018 with the arrival of our bulk bins. We had wanted bulk bins for years, and we knew all along that when finally got them we wanted them to be as waste-free as possible. We would need a reliable ‘tare’ system so customers could bring any container they had available, and and easy to learn system of refilling containers. We always encourage customers bring their own container when possible, and foster a learning environment for bulk shopping. From our own experience we know it can take a few reminders to bring containers and bags; it’s a process that doesn’t happen overnight. When we got the tare system up and running (‘taring’ is the ability to weigh a container before filling it, allowing someone to pay for only the weight of the product inside the container, and not pay for the weight of the container itself), the sky was the limit. 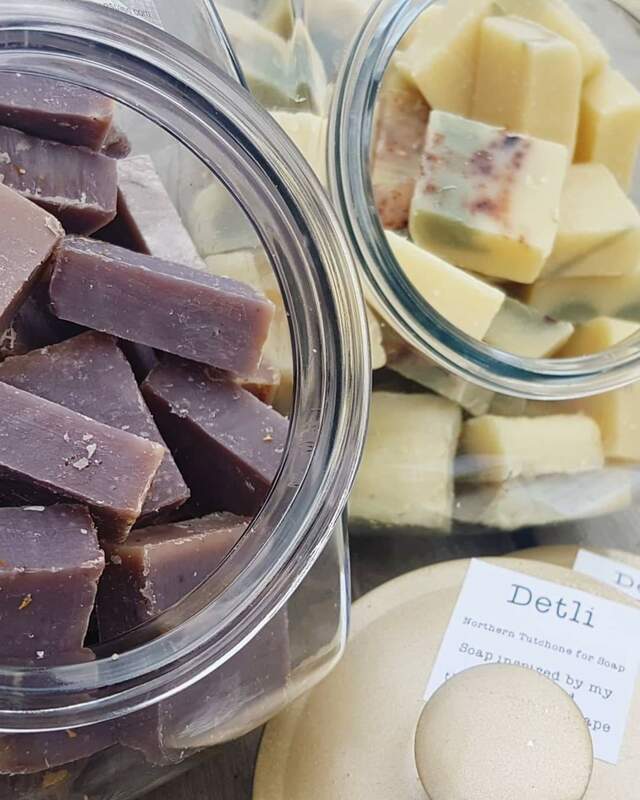 We now offer a Bring Your Own Container option for everything in our bulk bins, soft serve ice cream, slushies, icebergs, penny candy, locally brewed Summit Kombucha, and bar soap and shampoo bars from fellow Zero Hero, The Yukon Soaps Company. It is so encouraging to see so many people coming in with containers doing their best to reduce their waste. From coffee mugs from home for ice cream, to home made cloth bags to grab a few handfuls of snow peas from the produce cooler. 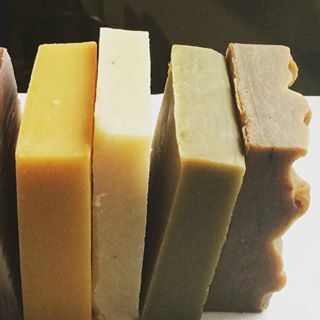 Zero Waste soaps from the Yukon Soaps Company in Mayo, YT. We still have a long way to go on the road to Zero Waste, and we have a few more ideas up our sleeves. While everyone tries their best, it is a work in progress and we still love seeing someone carrying a big cardboard box filled with groceries out the door if they forget their bags. The participation from the community is what keeps us inspired and motivated to do more. We are learning along with the rest of town; only 5 short years ago the thought of Zero Waste was barely on our minds. However, it is amazing to see what a close-knit town of like minded, outdoor adventuring, passionate people can achieve. Riverside Grocery is located at 201 Lowe St. in Whitehorse. Check them out at www.riversidegrocery.ca or on Facebook or Instagram! Maybe you have heard the buzz around Whitehorse lately about a certain salon doing things a little differently. Indeed, Chantelle Tarapaski and her team at Fahrenheit Hair are leading the way when it comes to waste diversion. Fahrenheit is the only salon in the Yukon to be designated a Green Circle Salon, and is a model for other local businesses. What’s a Green Circle Salon? 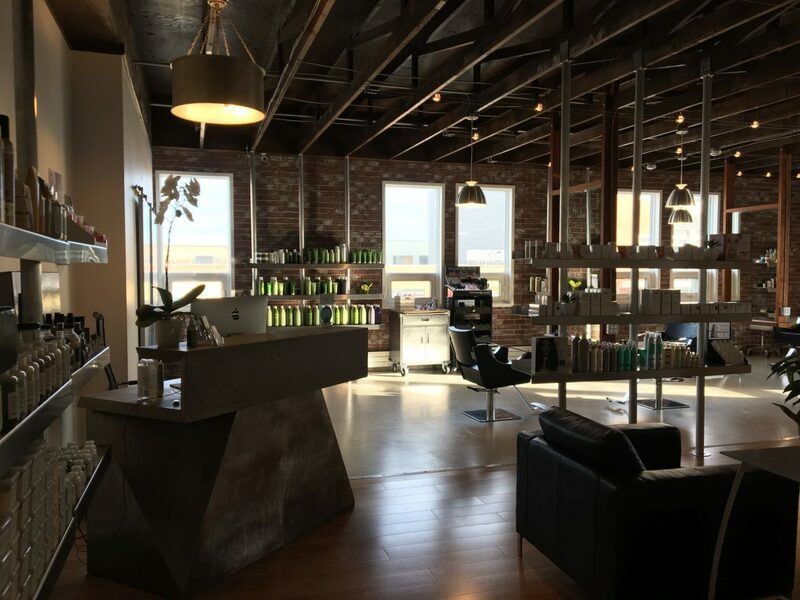 Green Circle Salons is a business dedicated to diverting salon and spa waste from landfills and waterways. By signing up with Green Circle, Fahrenheit now has a way to repurpose and recover some of the resources that they cannot recycle locally, many of which are contaminated. Green Circle approached Tarapaski to see if she wanted to sign up for their service. At first, she admits she was hesitant. “I felt that Green Circle might be using us to profit on protecting the environment, but then I realized this was a good thing because they were actually doing something good,” she says. 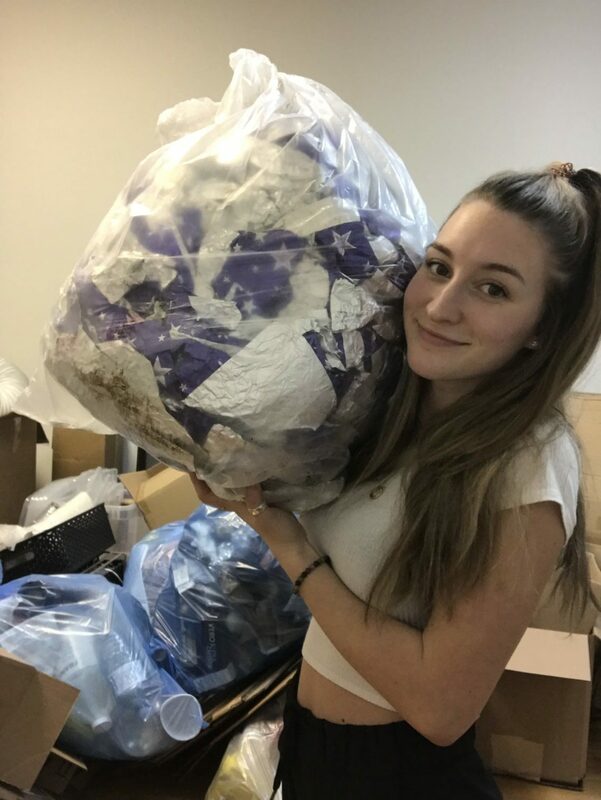 Before signing up, Tarapaski wanted to make sure that she knew what was going to happen to the materials her salon sent out. She took a trip south to tour the Green Circle facilities. She drilled them about different items and was impressed with the system in place for recovering materials. Fahrenheit pays Green Circle for the service, and in return, ships out her salon waste to be recycled. Tarapaski recoups some of the cost by charging a $2 eco-fee to her customers, who are glad to pay. All the recyclable materials and contaminates are collected and stored before they are shipped out to Green Circle. What does Green Circle collect? Fahrenheit Hair collects and ships a long list of different items to Green Circle. Contaminated foils, aerosols, colour tubes, excess hair colour, and any spa waste with contaminates or chemicals are included. They also send their hair clippings. The hair clippings go to a corrections facility in Maple Ridge, where they are stuffed into old nylons to create booms. These booms are used to soak up oil spills from water. When the booms have been used and re-used to their capacity, they are brought to mushroom fields where they are broken down by fungal spores. Some other items are separated and recycled, while the remainder go to a waste-to-energy incinerator. On top of all the materials shipped out through Green Circle, Fahrenheit collects all their recyclables, and keeps a compost bin in the staff room for organics. They’ve also invested in water saving EcoHead taps. Tarapaski says she was asked a lot about the salon materials from her customers and was feeling some pressure to give them answers. She says making the change to divert more waste was a bit of work at the beginning, but now things are easier. 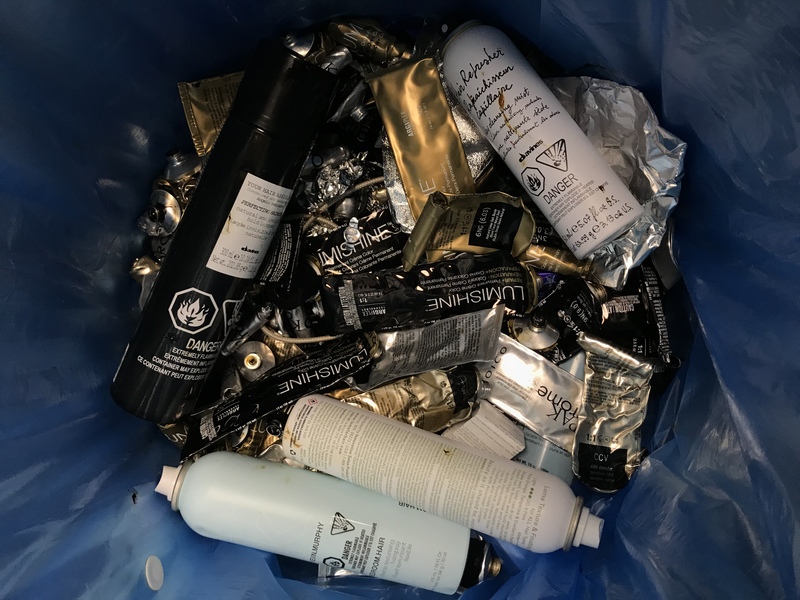 There are many containers associated with running a salon, so that means many trips to the recycling centre. “My offices are full of recycling but it’s worth it,” she says. Fahrenheit diverts about 95% of their waste, and fills less than half a small bag of trash every month. Tarapaski says the response from her customers has been nothing but positive. She’s continuing to look at ways the salon can further reduce its footprint. She is looking into whether her hair clippings could go to our local composting facility, which would save on emissions. She also has plans to order some organic cotton produce bags that she can provide free to customers. More importantly, Tarapaski is encouraging more local salons to sign up. She’s hoping the industry gets to a point where every salon is working cooperatively to reduce their waste. Fahrenheit Hair is located at 2099 – 2nd Ave. For more information call 668-2882 or visit their Facebook page. Registration is now open for the 2019 Indoor Community Garage Sale! Call our event partner North Star Mini Storage at 633-5402 to reserve your table! 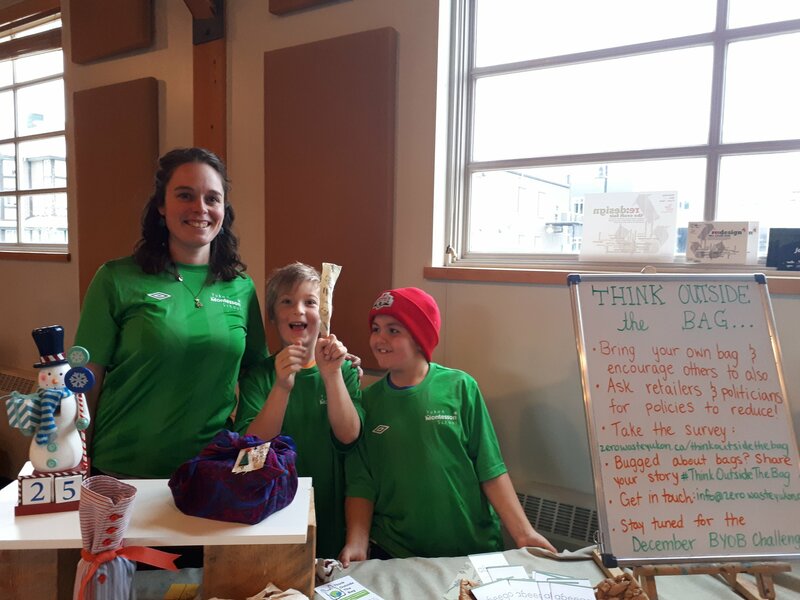 Over 1000 people attended the 2018 Indoor Community Garage Sale at the CGC (Zero Waste Yukon). This is the 6th annual garage sale hosted by Zero Waste Yukon. Last year’s sale saw over 1000 people attend! One important change to note, this year’s sale will be held in a new location, the Yukon Convention Centre at the Coast High Country Inn. This event is a great opportunity to raise funds for your organization or sports team, or to make some money doing some early spring cleaning! By participating as a vendor or patron, you’ll be doing your part to keep useful materials out of the landfill and in circulation! You’ll be sure to find great items at awesome prices, so mark your calendars! The sale takes place from 10:00 am – 2:00 pm at the Yukon Convention Centre! We’re also very excited to have Yukonstruct back with their world famous Repair Cafe! Check out our blog post about Glen Piwowar and the Repair Cafe from last year’s garage sale! A generous thank you to all our sponsors! 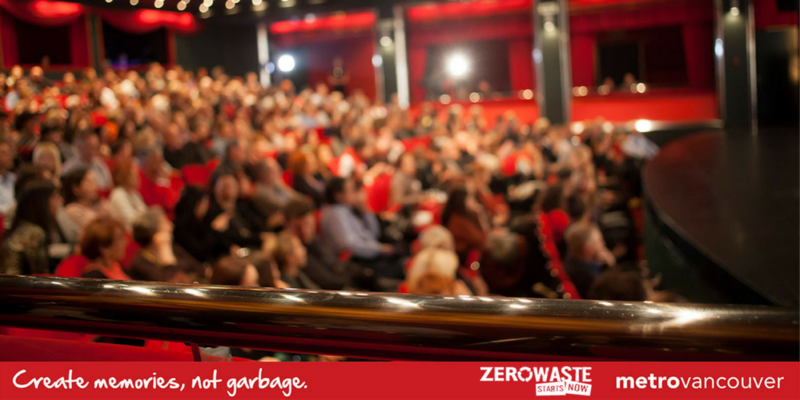 Stay tuned for more information or contact info@zerowasteyukon.ca! 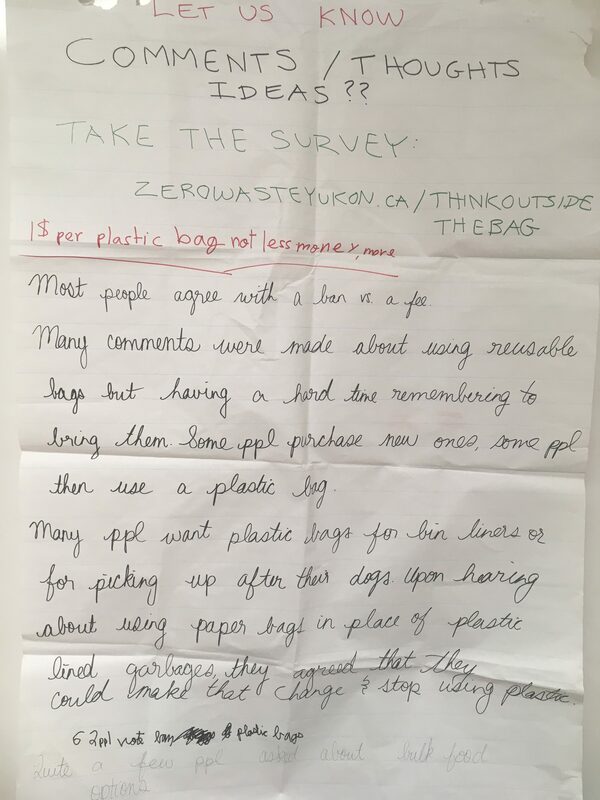 Share your thoughts on a single-use bag policy in Yukon! Take the survey here! For many of us it’s time to set some resolutions for the year to come. To do so, you might start by looking back at the year that was. 2018 was a banner year for news about plastic pollution and the threat of global climate change. The word “single-use” was even chosen as “Word of the Year” by Collins Dictionary. “Plogging” – picking up litter while jogging, also made the short list, highlighting a growing concern with humanity’s impact on the environment. “In the much larger battle over climate change, the plastic backlash could end up being a small but energizing victory, a model for future action,” writes Buryani. Coupled with growing awareness of the costs of our rampant consumption is the growth of the Zero Waste movement and the Circular Economy. 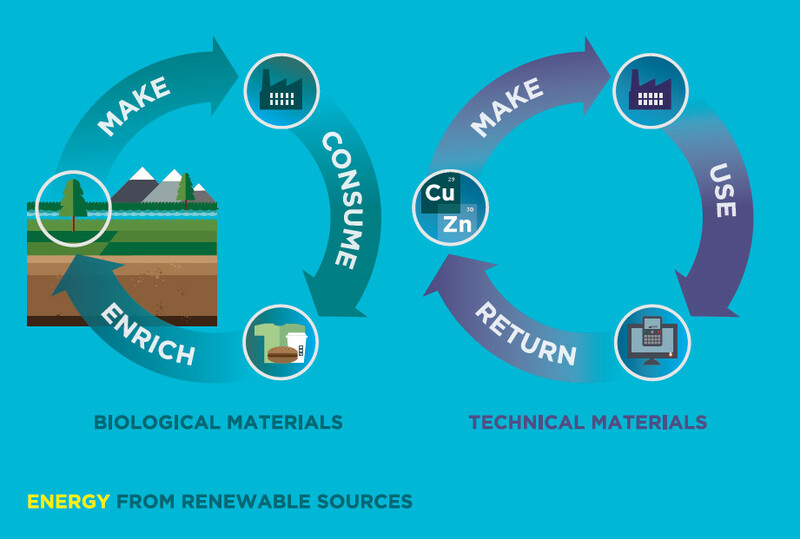 We are in the midst of an exciting paradigm shift, one that will see us move away from the historic linear approach to industrial production and embrace circular economies where resources are used over and over again. This is one of the easiest things you can do to reduce your waste footprint. Canadians use roughly 2.86 billion single-use plastic bags each year. The majority of these are landfilled and recycling is not an effective solution. Once you get into the habit of always being prepared, you’ll wonder how you ever left home without your reusable bag. Keep them in your car, keep them by the door, and be sure to get yourself a set of reusable produce bags as well! 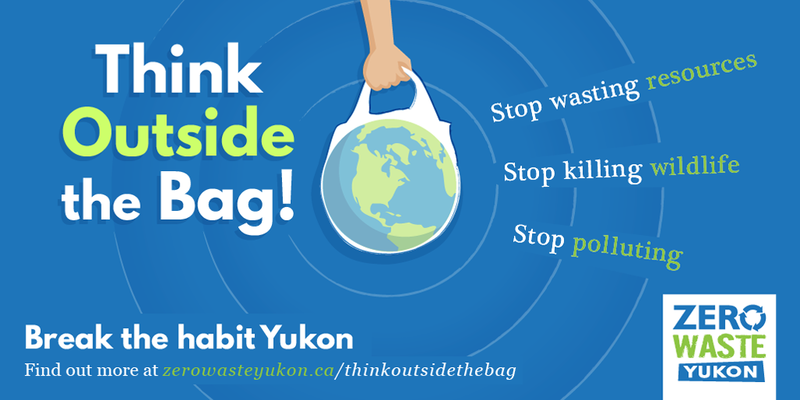 Check out our Think Outside The Bag page for info on our campaign for a bag reduction policy in Yukon! We know tap water is a far more efficient system for delivering water than bottled water. Even if every plastic bottle we used was recycled, tap water still uses less resources, produces less greenhouse gas emissions, and avoids other toxic emissions. It is absolutely insane to take water from across the country, bottle it in plastic, and drive it up the Alaska Highway when we have clean, drinkable water right here. Carry a reusable bottle with you and you’ll likely end up drinking more water too, so it’s a win-win! The best way to ensure you’ll remember your reusable mug is to get one you like to drink out of. There are countless options out there so you’ll likely be able to find one that suits your needs. The next step is to commit to using it. Try skipping your coffee or tea if you forget your cup, that way you’ll create a bigger incentive to bring it! 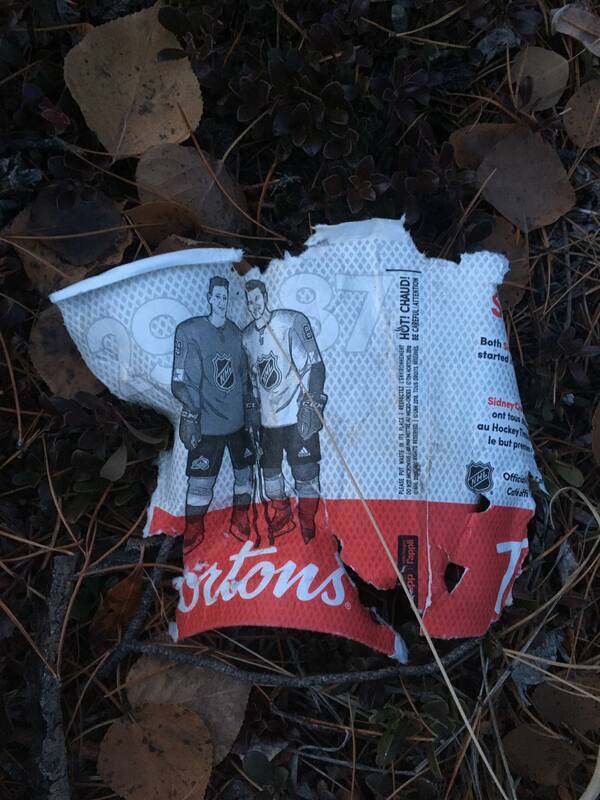 Bringing your own mug means less Tim Horton’s cups littering Yukon streets and parks, and less wasted resources. Make 2019 the year you try and refuse as much needless packaging as you can. Whether it’s a disposable bag, disposable cup, or some other items designed for a single-use, saying no will not only help you create less waste, but you’ll also save money! Avoiding impulse purchases can be difficult at first, but like anything, all it takes is a bit of practice. 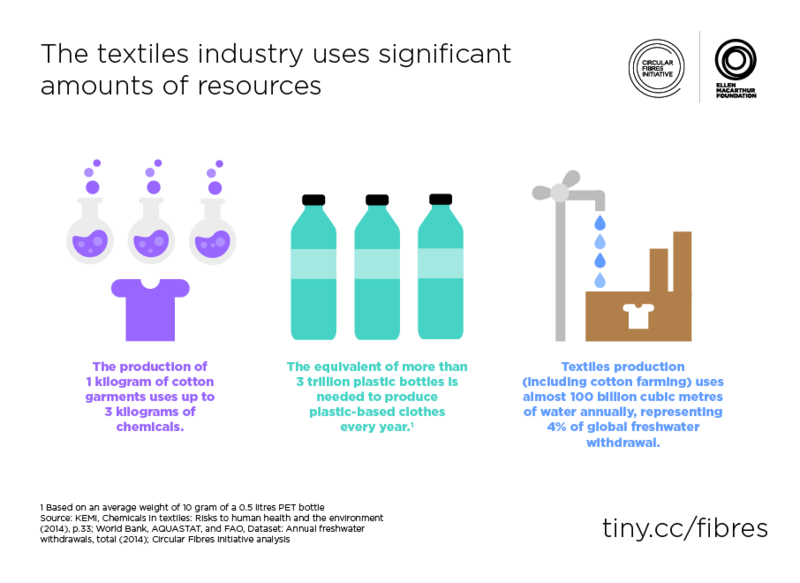 Every year, North Americans send 26 billion pounds of clothing to landfills. 95% of this clothing could be reused or recycled. When you throw away your clothes, you’re not just wasting the item itself, but the natural resources used to make that item. It takes over 700 gallons of water to make a t-shirt, and 1800 gallons for a pair of jeans! Donating your clothes to local thrift stores is a great way to save those resources, and shopping secondhand helps avoid using up resources for new clothes. The most sustainable fashion item is one that already exists. Anticipating your needs and being prepared so you don’t end up with needless waste can take a bit of work. With a little mindfulness, you can create new habits so remembering your reusables becomes second nature. Plan your weekly meals to avoid creating food waste. Think you’ll have a coffee? Bring your mug just in case. Keep a reusable bag in your car, purse, or pocket. You’ll quickly see how much less waste you produce when you get in the habit of always being prepared. Straws are one of the easiest single-use items to give up. While they don’t account for a huge part of the waste stream, they are a symbol of unnecessary waste. They’re also one of the easiest items to avoid. Simply say “no straw, please” when dining out. Once you’ve eliminated something simple like straws, it will help you in saying no to other disposable items. Cooking and eating without single-use packaging is a big part of reducing your waste. By avoiding take-out and making more meals yourself, you’ll be avoiding styrofoam and other plastic food packaging. You’ll also eat better, as many processed packaged foods are less healthy than unpackaged fresh foods. Plan your meals to help decrease food waste and don’t forget to make a list when shopping! Making Zero Waste choices every day can be a little daunting, particularly in the grocery store where we’re surrounded by disposable plastic. The news about plastic pollution can also seem bleak. That’s why it’s so important to stay positive. Don’t be discouraged if your cart has a bit more plastic than you’d like, instead celebrate the face that you’re creating less waste than you used to! Give yourself a pat on the back when you remember your reusable cup or bag and it will help you continue to remember! 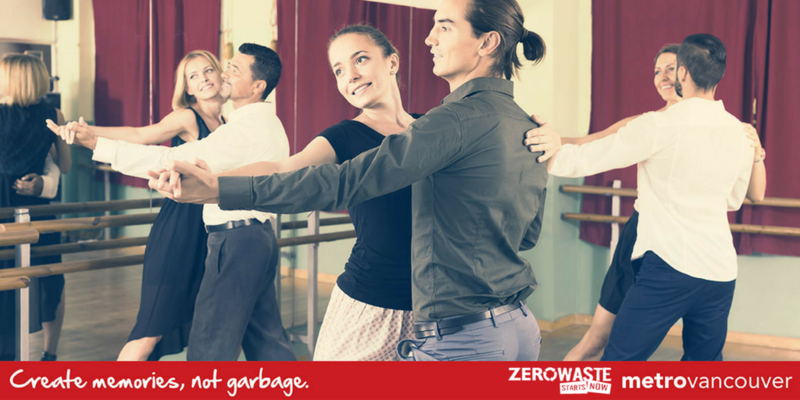 One thing that makes the journey to Zero Waste easier is help along the way. A growing Zero Waste community will mean more access to waste free products and more power to change our current systems. Sharing tips and success with others is a great way to inspire change, and you’ll also get positive feedback which will help you stay dedicated to fulfilling your resolutions. Whether you choose 1 resolution or commit to making sweeping changes, stay mindful and don’t give up! Don’t be discouraged if you falter, simply start again and know you’re an important part of positive change in your community. Happy New Year! 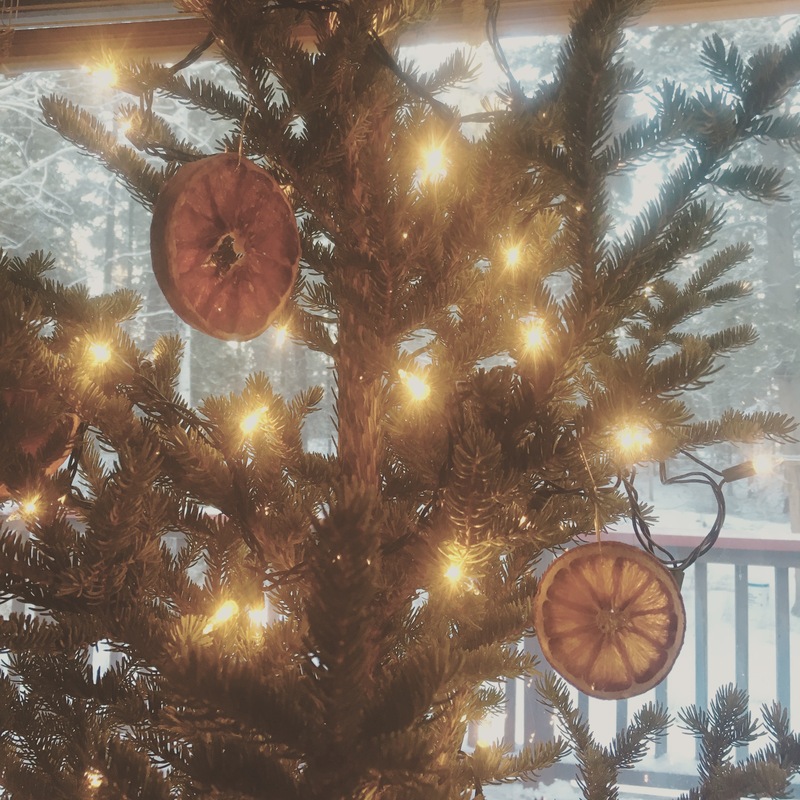 This December, Zero Waste Yukon is counting down to Christmas with our Zero Waste Advent Calendar! Each day of the week will highlight a waste-free activity or gift you can give this year to reduce your holiday waste! Christmas can be a time of year where we generate a lot of unnecessary waste, so check back here daily for ideas on how you can spread joy this Christmas without spreading garbage! Avoid packaging and support local artisans by finding handmade gifts. Check out local markets, fairs, and stores for Yukon-made creations! Treat your loved ones to a nice dinner on the town or a special meal at home. Don’t forget your reusable container for leftovers! Surprise the dog owners in your life with some tasty homemade goodies for their pup. There’s countless recipes online for dog treats that will make you a dog owner’s best friend! Give the gift of entertainment with tickets to a musical act, theatre performance or movie. Check out the Arts Centre, Guild Hall, Gwaandak Theatre and others for local performances! Treat your friends or family with kids to a day off this holiday season by offering up your babysitting services as a gift. Your loved ones will appreciate it more than any material gift! Give back to a local charity this Christmas. Volunteering is a great family activity that teaches compassion and caring for others. Contact Volunteer Yukon to learn about volunteer opportunities! Say goodbye to plastic cling wrap with breathable, reusable cloth beeswax food wraps, the perfect kitchen stocking stuffer! Available in Whitehorse at Riverside Grocery or make your own with these DIY instructions! Explore secondhand options for sports gear and save money this Christmas! There’s lots of secondhand items in great condition looking for a new home, check out ChangingGear and other local secondhand stores as well as the Buy and Sell! Avoid junk plastic decorations and borrow from nature! Harvest some tree boughs or pine cones to add a festive touch to your home, and don’t forget a natural Christmas tree! Skip the plastic tree ornaments and craft something unique out of recycled materials. Your tree will be more personalized and it’s a great activity for quality time with the family! Get your loved ones a refillable growler with some local brew in it. They can use it over and over again without having to waste bottles and cans! 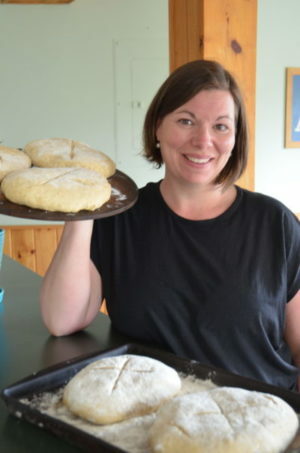 Have a favourite recipe? Secret guide to making the world’s best something? Why not share your recipes as a gift to a friend? It’s a gift that keeps on giving! Try keeping it simple this year and avoid hard to recycle Christmas wrapping paper by going wrap-free! Wrapping presents is as easy as tying a string bow around your gift and plopping it under the tree! This Christmas, give the gift of learning! Instead of dancing around aisles in stores looking for the right material gift, why not try dance lessons? Or why not try learning a new hobby like weaving, painting, pottery, or glass blowing? You never know if you’ll find something you and your loved ones will love! December 15: Reusable Coffee Filter! This holiday, give the gift of paper-free coffee with a 100% cotton cloth coffee filter! No plastic, no metal, no paper. Simply compost your old grounds, then rinse and reuse for waste-free coffee this Christmas! This Christmas get your family and friends together and organize a curling game! Sheets of ice and equipment can be rented for you and your friends to enjoy a day of curling. It’s great fun, so hurry hard and visit Whitehorse Curling Club for more info. Instead of buying your family stuff this Christmas, why not treat them to a getaway? It could be as simple as a weekend out of town, but it will be a great opportunity for quality time and it won’t come wrapped in plastic! Stuck on what to get your friend or family member for Christmas? Why not make a charitable donation in their name to a local organization that could use some support? No materials necessary, and you can both feel good knowing you’ve done something to help those in need. December 19: Share a book! Read a good book lately? Got a pile of classics sitting around collecting dust? Why not bundle up one or two of your top picks and give them as a gift to someone this Christmas? Passing on your favourites to others is a great, thoughtful holiday gift. Treat your loved ones to some relaxation and physical fitness this Christmas with yoga classes at your local studio! Perfect for relieving the stress of the Christmas season! Namaste! Always a good choice, a home cooked gift is a perfect Zero Waste Christmas present! Cookies, baked goods and other homemade creations are a great holiday treat and don’t require any excess packaging or wrapping! Instead of buying presents for friends, invite them over for a home cooked meal! Treat those special people in your life to a special day in the snow and get outside this Christmas! December 23: Write a song or poem! Embrace your inner creative and show how you feel by writing a poem or song to your loved one. It’s a gift worth more than anything material! 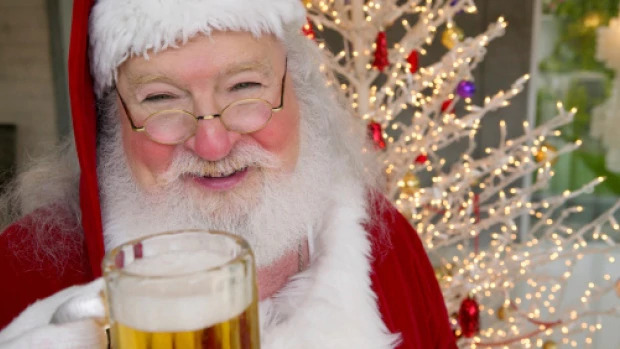 Make a deal with your family and friends to skip presents this year! You’ll all create less waste and you can worry about sharing quality time with each other instead! This holiday, be bright and merry, be compassionate, be caring, be thoughtful, and share today with those who matter most to you, without worrying about material gifts. Craft fair season means lots of chances to buy great local, handmade products that are durable, support local artisans, and don’t come with lots of plastic packaging. When it comes to local craft fairs, re:design is one of our favourites, as it showcases local artisans embracing creative reuse and making items out of repurposed goods. Local artisans Leslie Leong (Leslie Leong Arts) and Darren Holcombe (Laberge Lumber Co.) have been organizing the event for four years, and this year was another success! 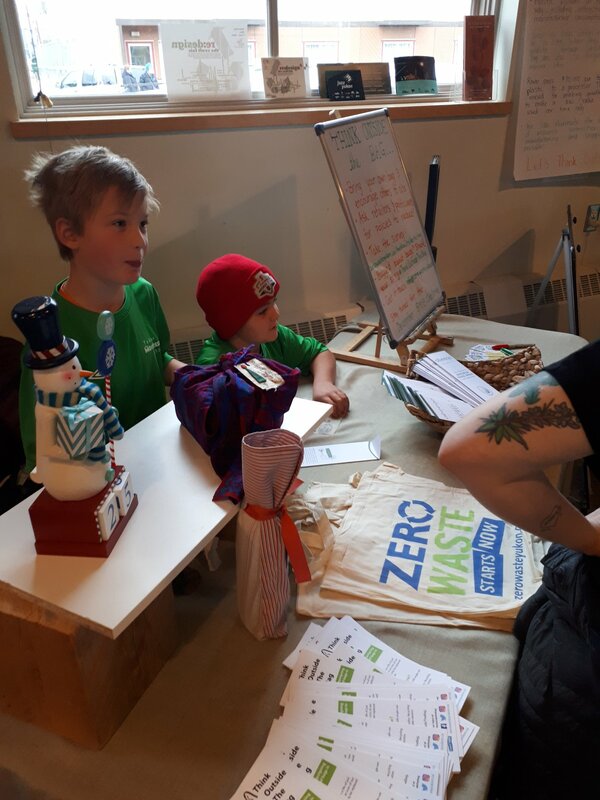 This year, we teamed up with students from Yukon Montessori School to talk holiday waste reduction at the fair. Montessori teacher Kelly Scott and her keen students set up two tables at the fair. They talked about single-use bag reduction and offered handmade gift tags to craft fair patrons. The gift tags were a big hit, and the students managed to raise close to $200 for their school! The fair also provided lots of opportunities to chat with people about holiday waste reduction. As Christmas can be a very wasteful time of year, this was a valuable opportunity to chat about ways we can reduce our footprint over the holidays. If you’re looking for tips on a waste-free Christmas, check out our Zero Waste Advent Calendar for 25 days of Zero Waste gift ideas. Be sure to also check out our 12 days of Alternative Gift Wrap page for creative ways to wrap presents without using hard to recycle wrapping paper. The fair also presented a great opportunity to chat about a policy solution to the problem of single-use bags. Zero Waste Yukon is campaigning to reduce single-use bags in Yukon, in order to prevent litter and save precious resources. Learn more about our campaign by visiting our Think Outside The Bag page! Lots of great input was collected from the public about a potential policy to reduce single-use bags. Many craft fair attendees supported a ban on single-use plastic bags. We’re looking forward to working with the bright and passionate students at Yukon Montessori School again soon. Keep your eyes peeled and don’t forget to Bring Your Own Bag to all the upcoming craft fairs in Whitehorse!